During February, Heritage is celebrating everything we love about Wisconsin as part of our Wisconsin Heritage monthly calendar. And Heritage Monona is excited to bring this celebration into our monthly memory cafe, where people with memory loss and their caregivers can connect, learn and engage with others. 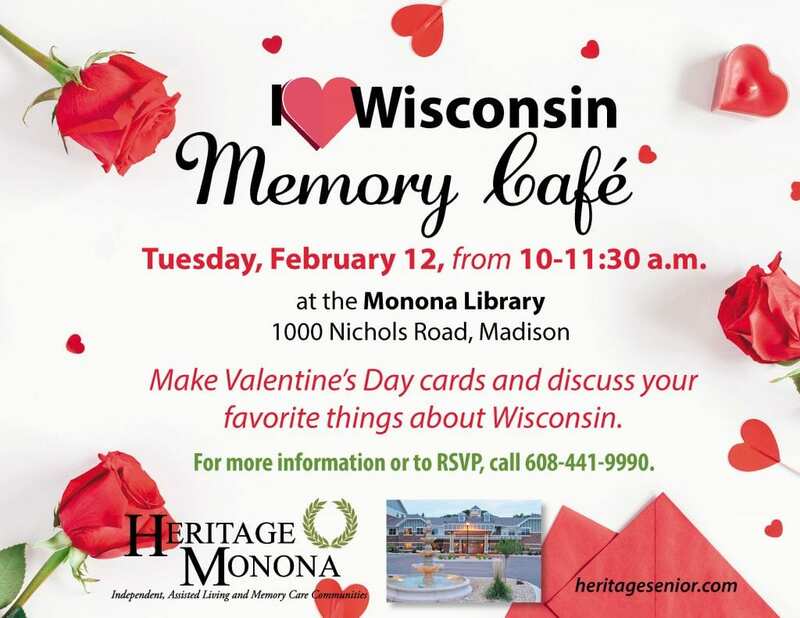 This month’s memory cafe will be held at the Monona Library, where we’ll be making Valentine’s Day cards and discussing our favorite things about Wisconsin.